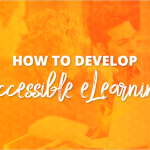 Instructional Design expert Misty Harding joined us today to close out eLBX Online. A mere mortal might have been intimidated being the grand finale of 6 weeks of amazing eLearning webinars, but Misty is no mere mortal. She showed up with her game face on and an ambitious 101 slides of interactive eLearning examples and tips. User explores the screen to learn more about something. Not very cognitive, but do add an element of engagement beyond just reading. Examples: click-to-reveal, drag-to-reveal, slide-to-reveal. Learner thinks about something and gives a single response/answer. He or she receives immediate feedback and course moves on. 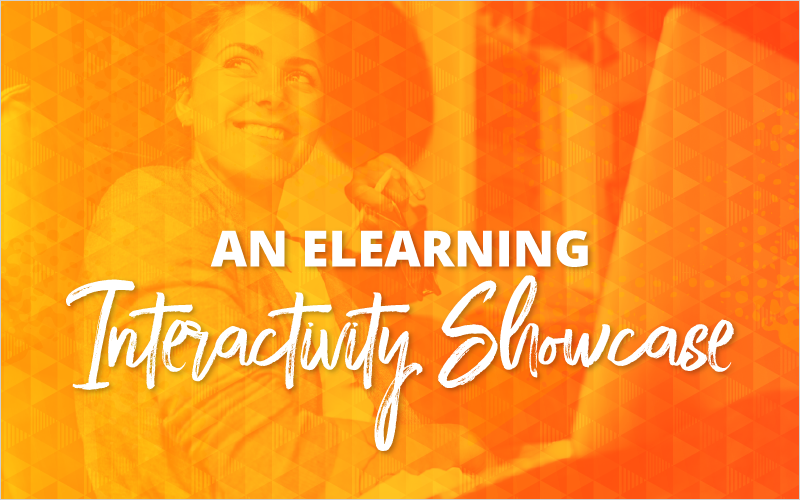 Come in a variety of formats and ensure the learner is able to apply the concept through an activity complex enough to challenge their understanding of the finer points of application. 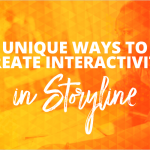 These build on cognitive interactions and have an extra bit of “pizazz”—that might be through an animation, gamification, or exceptional visual creativity. Misty showed a TON of examples of interactions that eLearning Brothers custom team has created for different clients. Keep an eye out for the recording so you can see them too. That concludes eLBX Online. We hope that you loved it, and if you did love it, we hope you join us in-person this June at eLBX Live 2019. © 2019 Bloom Learning Technologies. All Rights Reserved.